57mm x 55mm Thermal Paper Rolls. Supplied in a box of 20. Suitable for a variety of cash registers. Our 57mm x 55mm rolls are manufatured using EPSON approved thermal paper. Our 57mm x 55mm thermal paper is not only excellent quality but also great value. Remember we deliver all 57mm x 55mm thermal rolls FREE to any U.K. mainland address! No hidden extras or postage charges! So order now and save. 80mm x 80mm Thermal Roll. Suitable for all EPOS printers. Our 80mm x 80mm rolls are manufactured using EPSON approved thermal paper. 80mm x 80mm rolls are supplied in a Box of 20. 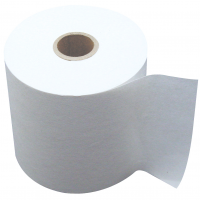 These thermal rolls are suitable for all thermal printers including kitchen printers, EPOS printers, tills etc. Our 80mm x 80mm thermal paper is not only excellent quality but also great value. Remember we deliver all 80mm x 80mm thermal rolls FREE! No hidden extras or postage charges! So order now and save. © 2018 TillFood Limited. All Rights Reserved.